Is Pickle Juice the Best Way to Prevent Running Cramps? Is Pickle Juice the Best Way to Prevent Running Cramps? Runners Connect » » Marathon Nutrition Can Pickle Juice Really Cure Muscle Cramps? Those words alone are enough to make most people cringe. At some point we have all been through those sudden, intense moments where a cramp hits you hard. As you instinctively grab for the muscle in pain, you swear that you are going to research how to prevent this…..as soon as this excruciating pain goes away. You finally remembered, and you are on a mission to find the best solution to your running cramps. This is the article for you. Rather than looking at what one friend told another, we are going to look into the science behind using pickle juice as a cure for cramps, and you may be surprised by what we found! We have previously covered what causes exercise-associated muscle cramps, the painful and seemingly random muscle spasms that can fell everyone from recreational marathoners to professional basketball players. Popular wisdom holds they’re caused by a lack of electrolytes, but scientific research shows that it’s more likely that muscle cramps are due to the failure of a neuromuscular mechanism that usually keeps extreme muscle contraction in check. Like any ailment that affects athletes, there’s a veritable arsenal of remedies and tricks that runners and athletic trainers swear by to prevent or clear up a muscle cramp. Some of these remedies end up being subjected to scientific testing to validate or bust them. One simple trick—gently stretching out the cramping muscle—proved to be quite successful, and gave researchers a clue as to the real mechanism behind cramping. Does Pickle Juice Prevent (and Relieve) Cramping? Yes, believe it or not, old-school athletic trainers swear by gulping down a mouthful of pickle juice as a rapid cure for muscle cramping. The logic behind this was that the liquid left in the pickle jar is incredibly salty and full of electrolytes. As we saw last time, there’s fairly strong evidence that your body’s electrolyte levels have no bearing on whether or not you develop muscle cramps during exercise. So in theory, pickle juice, despite its reputation, shouldn’t do anything to alleviate muscle cramping. Does taking pickle juice actually work? Exercise-associated muscle cramps can be tricky to study in a controlled environment, because the cramp location and severity can vary from person to person. A better way to study cramps in a controlled environment is to artificially induce them. By electrically stimulating a leg nerve in just the right way, researchers can cause cramps on demand. Then, by using an electromyography machine, or EMG, they can quantify the length and severity of a muscle cramp. 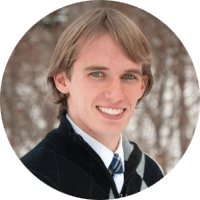 A 2010 study using just such a protocol was published by Kevin Miller and colleagues at North Dakota State University and Brigham Young University. In the paper, the researchers used an electrical current to induce foot cramps in a group of 12 volunteers. Two cramps were induced, each separated by 30 minutes. The first cramp was a baseline test to establish what a “normal” muscle cramp looks like in terms of its EMG signal and its duration. Then, a second cramp was induced, and the subjects immediately ingested two to three fluid ounces of either water or pickle juice. A week later, the experiment was repeated with a cross-over design, meaning the subjects who received water the first time got pickle juice the second time, and vice versa. To guard against any possible placebo effect, the researchers used nose plugs to prevent the subjects from smelling the liquids they drank, and even blinded themselves to which solution was being administered to which subject. The effects of the pickle juice were rapid and impressive: The control cramps and the cramps followed by water consumption lasted over two minutes, while cramps followed by pickle juice consumption lasted less than a minute and a half—a reduction of over 25%! Are Muscle Cramps Because of Low Electrolytes? Do the impressive effects of pickle juice revive the “cramps are because of electrolytes” hypothesis? Miller and his co-workers designed another experiment to test this idea. This time, nine healthy men underwent three trials where they were given two to three fluid ounces of pickle juice, a sports drink, or plain water. After ingesting the liquid, Miller et al. took blood samples every few minutes over the course of the next hour, then analyzed the water and electrolyte content of the blood samples to observe the impact of each liquid. None of the three liquids produced any substantial changes in electrolyte or hydration levels, which is perhaps not surprising considering how small the ingested volume of liquid was (2-3 fluid ounces) when compared to the amount of water in the entire body (several gallons). Miller et al. conclude that any explanation of the efficacy of pickle juice that is related to electrolytes or hydration isn’t satisfactory—the electrolytes in 2-3 ounces of pickle juice are negligible when compared to sweat losses during exercise. Further, there’s no way the electrolytes could make their way into the blood within a minute or two after ingestion. The researchers propose that the acidic pickle juice triggers a reflex when it hits a nerve center on the back of the throat. This reflex sends a signal to the nervous system to shut down the overactive neurons causing the cramp. Should I Take Pickle Juice for Muscle Cramps? First, it works very well! You can expect a shot of pickle juice to decrease the length of a muscle cramp by almost half. Second, because of how quickly the pickle juice acts, this result provides more evidence that muscle cramps are caused by a malfunction of the nervous system, a glitch that leaves a muscle unit (usually the calves in runners) stuck in an “on” position. If you’ve had major cramping problems during your workouts or races, it might be worth giving pickle juice a try. The procedure from Miller et al. calls for drinking 2-3 fluid ounces of pickle juice—in the studies, strained from regular Vlasic dill pickles—as soon as possible following the onset of a cramp. Obviously, carrying around a glass pickle jar isn’t practical. You’ll have to find a tiny, 2-3 ounce plastic bottle to carry some pickle juice with you when you do a work out or race you anticipate might cause cramping. Fortunately, this is small enough to tuck into your waistband or put in a pocket. If it prevents those incredibly painful moments, its worth it right? If you missed it, we also covered cramping in further detail in our post Bonking vs. Cramping vs. Fatigue. If you are a marathon runner, you will want to check this post out! 2. Miller, K. C.; Mack, G. W.; Knight, K. L.; Hopkins, J. T.; Draper, D. O.; Fields, P. J.; Hunter, I., Reflex Inhibition of Electrically Induced Muscle Cramps in Hypohydrated Humans. Medicine & Science in Sports & Exercise 2010, 42 (5), 953-961. 3. Miller, K. C.; Mack, G. W.; Knight, K. L., Electrolyte and Plasma Changes After Ingestion of Pickle Juice, Water, and a Common Carbohydrate-Electrolyte Solution. Journal of Athletic Training 2009, 44 (5), 454-461. Hey Jeff, nice article. What about quinine sulphate as a remedy for cramps? The veteran Comrades marathon runners seem to put their stock in that remedy for cramp. I am not a runner, so don’t have the severe cramping problem most of you do. However, sometimes I awaken with a cramp in calf in the morning. Not too often. I will try keeping a small jar of pickle juice in the bedroom for those infrequencies. BUT a big surprise came to me one day, when turning onto a very busy street. I was in one of the two middle lanes, nearer the left side of street, when my right foot, the gas pedal foot, became severely cramped! I needed to get over to the far right lane! As a Reiki master, I have become the body “listens” to your voice and thoughts! Immediately, I commanded that foot::: “Don’t you DARE cramp on me here in the midst of all these cars. “….Almost at once, the cramp stopped and I was able to glide over to the right lane in case I had to stop. But as it seems, the cramp obeyed and didn’t DARE come back! I have tried it on other problems, such as making the quick exit in a room to the ladies’ room! :Don’t you dare..[.I tell the involved muscles….until MY seat hits the seat!…….and it works! At 84 years, its a good policy to continue! talk to your body! It’s listening! Hi Margaret, we did not delete your comment, just check them first 🙂 Intesresting story, and thank you for sharing, you are so right, it is very important to listen to your body! I have had monster cramps in my thigh and even SWEET pickle juice works. Try it sometime. Great to hear you found it helpful Sue! Thanks for your feedback! Hmm… There have been decades worth of claims about ACV being good for everything from rheumatism to weight loss. I wonder if apple cider vinegar, like pickle juice, would function similarly (or any vinegar solution, for that matter!). The experiment described in this piece ought to be repeated with ACV. (On a side note, with over a thousand years’ worth of claims made about ACV — versus the comparatively obscure merits of pickle juice! — one wonders why scientists have done so little to flesh out any of the claims made about ACV. It’s about time, if you ask me! Interesting to think about, and yes, you are right! If we come across any research, we will be sure to write a new article about it. Let us know if you find anything! I have done the pickle juice thing for years! I love how fast it works. As a matter of fact just had a cramp and had some pickle juice and thought it works so well I better look it up. I thought it was just all in my mind. It really works! That is great to hear Terrill! Thanks for giving your thoughts, others will find it very useful. hey – does eating a pickle do the same trick as drinking pickle juice? I happen to like pickles. And how much pickle juice do you have to drink? Hi Helen, unfortunately not. You can definitely enjoy the pickles, as they are great for you, but it is the juice that contains the electrolytes. You need a shot, so a few tablespoons. Hope this helps! I have ran 12 marathons & a few other long distance races, I’ve cramped wildly in10 of those races to the point of near crying. I’ve suffered through long miles of excruciating pain. Now there’s only one food that makes me cringe & vomit by just talking about it, Pickle. But if pickle would take the cramping away & help me mitigate the pain and suffering and of course help with the speed, I might consider this stuff. We have a post coming in the next few weeks that you will appreciate explaining all about cramping during marathons, but until then, you may want to take a read of this post. https://runnersconnect.net/running-training-articles/muscle-cramps-during-a-marathon/ Hope the pickle juice, or this post helps! Pickle juice is fantastic. It really works for me. After running a marathon and 70.3 with cramps i tried the pickle juice, drinking several times during the race. No more cramps. Drink water after the pickle juice, to get re-hydrated and get rid of the taste. Do try it. Glad you enjoy using it Mig. Great tip for removing the taste afterwards. Thanks for sharing! Dill pickle juice is an old Southern remedy for leg and foot cramps. I never considered the science behind it but am glad it is getting some really credibility with runners, walkers, and serious exercisers in this modern age of “designer” remedies. It really works and works FAST. Interesting Virginia, thanks for sharing! 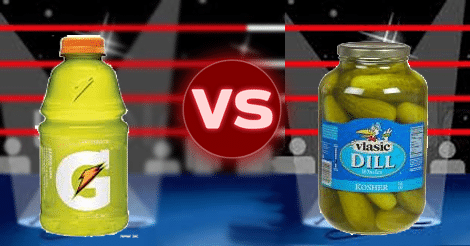 Will Bread & Butter pickle juice work or does it have to be Dill pickle juice? I work in Landscaping and can sometimes get horrible cramps or Charley horse, I grew up with, pickle juice works amazingly quick and completely eliminates the cramp. I wish that entrepreneur would hurry up and market pickle juice. Hi Paul, thanks for sharing. There are plenty of pickle juice brands out there for you to be able to chose from, hopefully you can use one of them, and keep those cramps at bay. You may also want to check out http://enduropacks.com. As an elite runner, I use this to maintain my electrolyte levels, and find it works well (as well as the other products!). If you use code “tinamuir” you can have a 15% discount. Hope this helps! I don’t now much but when I sweat real bad I can taste all the salt I am sweating out. When I sweat a lot I always cramp. So I am sweating out flids and salt and then I cramp, right? So I ingest salt and water to fix the problem. Pickle juce would seem to have both of those elements. Again, I am no rocket scientist here………. It seems pretty simple. I’ve used pickle juice — it works. Also use yellow mustard, about a teaspoon, and it also works. Keep up the good work. Hi Charlie, thanks for sharing. Interesting to add the mustard comment, thanks for sharing! So we should start our own brand of fitness water of diluted pickle juice? “Kosher Dill” for me please! After doing some research on the matter, I found a sports drink that has pickle juice included. TIP:A friend carries relish packets you get at fast food restaurants. Hi Jay, thanks for reaching out. That is very true that runners do have to take what is available, but glad you have found that both types worked. Good idea about the relish packets! Thanks for sharing! Thank you so much for your information. The past few nights I had no sleep I would wake up every few hours with unbelievable pain it traveled from one leg to another. The next day I called my doctor and recommend tonic water and pickel juice before I go to sleep. Thank God I slept like a baby. It worked!! Thanks so sharing Dianne, happy you have found something that works for you! All I can say is that pickle juice works for me and almost instantly. I have had some really severe legs cramps and have tried various remedies. Only two have worked well. Quinine and pickle juice. Now the FDA forbids doctors from prescribing quinine for leg cramps. Just like the government to do prevent something that works. So I use pickle juice and it works. I am not a runner but suffer from cramps either in my toes or calf muscles , more so at night. I’ve been told that it could be absence of magnesium or possibly taking statins. Now as I do take statins for high cholesterol I did a bit of research and found that large numbers of statin takers suffer from leg cramps. Now it is well established that taking statins stops the body from absorbing CoQ10. Could that be the culprit? In cases where it involves runners could running also deplete the body of CoQ10? It would be interesting to find out. I wonder if some research has been done on the topic. Since the heart is a muscle and a heart attack in some cases has to do seizing of the heart, has thus simple measure ever been examined. As a lay person this probably a utterly absurd notion, but …. ?